Join Kay as she teaches you how to create a portrait. 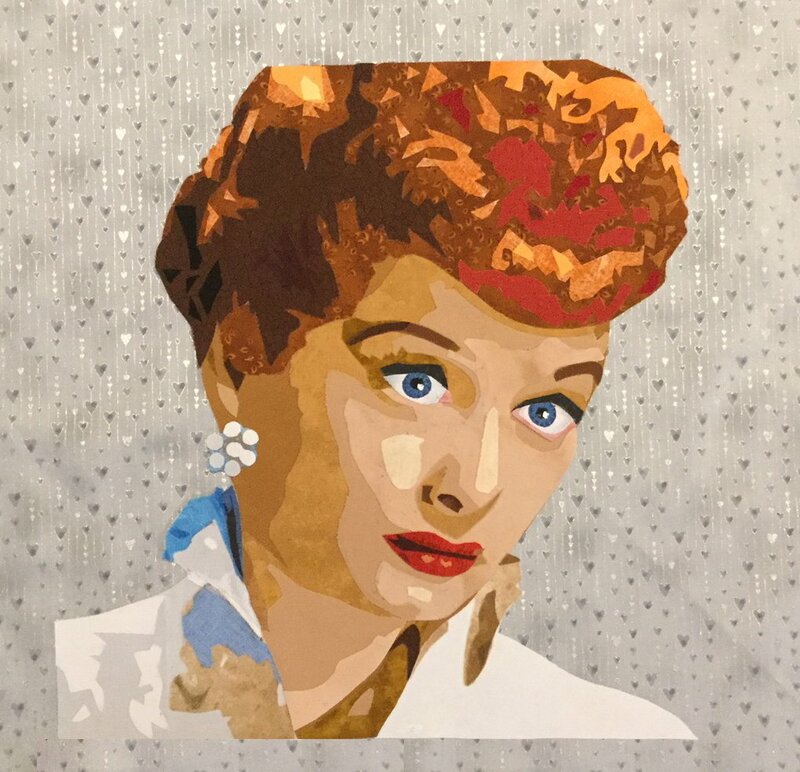 During a two-day class, everyone will learn how to create this portrait of Lucille Ball using just fabrics. Then you can take what you learned during class and create your own portraits. Kay has won many awards for her portraits and has had quilts juried into quilt shows all over the country. Don't miss this opportunity to learn from one of the best! This is a two-part class. Class fee does not include materials required.